By putting your payments on auto pay, you eliminate that monthly decision: Should I pay bills tonight or wait until Tuesday? Should I put money into savings this month or buy those cute shoes? For me, I know that the fewer financial decisions I have to make on a daily basis, the better. That’s why I love automatic payments. There are several ways to do this, but all result in the same thing: Your finances are set to “autopilot” while you are off enjoying life. Use your bank’s online bill pay option, which is a free service at most banks but also at credit unions, brokerages, and mutual fund accounts. An automatic bill payment is a money transfer from your account on a predetermined date or schedule, to pay a recurring bill. Automatic payments can be made from a checking account or credit card. They are usually set up with the company receiving the payment, though it’s also possible to schedule automatic payments through a checking account’s online bill pay service. Banks don’t all operate exactly the same way, so go online to check out your bank’s auto bill pay service. 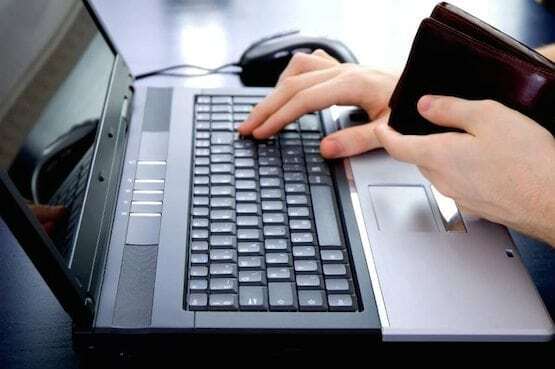 Most lenders and other service providers will let you set up online automatic payments authorizing them to reach into your bank account to take an amount you specify—the minimum payment, a set dollar amount or the full balance—every month from your checking account right before the payment is due. Go to your credit-card issuer’s and other lenders’ websites to learn more. Most utility companies now offer this kind of service, too. And while we’re talking about it, if you set up your student loans to be paid automatically, expect to get a reduction in your interest rate as a nice thank-you. Check it out. Automatic payments have become hugely popular because they offer so many advantages. By setting all your bills to be paid automatically, you’re not as pressured to keep track of what due dates. Once an automatic payment plan is created (you can cancel or amend it anytime since you’re the boss when it comes to auto pay), your bank or credit card issuer will take care of the rest. The biggest reason most people use auto-pay to put all of their monthly payments on their travel rewards credit cards is to get reward points for travel. All those bills add up to hundreds of points each month, and can easily result in lots of free travel every year. CAUTION: Just make sure you have authorized your reward credit-card issuer to reach into your account to transfer the full amount you owe so that the balance returns to $0.00 before the start of the next billing period. By eliminating paper bills and check writing, you reduce a lot of paper. Plus, you don’t have to buy and keep on hand a constant supply of postage stamps. When your bills are set up to be automatically paid, missing a payment or becoming delinquent becomes a rare, if ever, occurrence—two things that will kill our credit score These are two things that can majorly hurt your credit score. When your bills are always paid on time, it keeps your credit score, even boosting it into a higher more enviable bracket. If your bills are not mailed to your home and you are not mailing in paper payments with a credit card or checking account numbers, you reduce your risk of identity theft. Of course, there are risks when paying online, but the security surrounding these payments is typically far greater than the security offered by an unlocked mailbox. Saves money. Since you’ll no longer have to pay for checks, stamps, envelopes, or gas for trips to the post office, having your bills paid automatically lets you keep more of your hard-earned money. Automated payment comes with potential disadvantages, which you should consider fully. Some companies charge a fee, which is maddening since automatic payments save them money in processing and chasing after delinquent payers. Don’t fall for paying a fee. If that creditor or service provider wants to charge you, pay instead with an old-fashioned check or money order. With automatic payment plans, it can be easy to forget what you have scheduled to be paid and when. If you run your bank or credit-card close to the edge, you’re setting yourself up for overdrafts which come with huge fees. Another problem is that banks and others make mistakes from time to time! They may jump ahead of your schedule, so keep a calendar and check your accounts often. Automatic payment plans can be set up in a matter of minutes. But stopping them can be much more difficult. Sometimes you have to notify your bank and your merchant, and you may even need to do it in writing. Should you stop or change your auto-pay schedule, watch very carefully to make sure your instructions are followed exactly as instructed. Not so keen on automating your bills and payments? You can use this method and process in another way—to automate your savings! Set up an automatic authorization at your bank or credit union to have a set amount of money transferred from your checking account where you deposit your paychecks, into your savings account. Start small if you must, but just do it. It will change things for you and I mean in a really awesome way. Here’s what will happen: The first time the money is moved you’ll feel panicked because you feel the “loss.” Buck up, dry your tears. You’ll be just fine. The second time this happens you will be slightly agitated. But the third, fourth and on and on? You will totally forget it happens! Trust me on this. Now and then when you think of it and check your saving balance, you will rejoice. And thank me.